Swami Vivekananda (January 12th 1863 – July 4th 1902), born Narendranath Dutta, was the chief disciple of the 19th century mystic Ramakrishna and the founder of Ramakrishna Mission. Vivekananda was the Hindu missionary to the West. 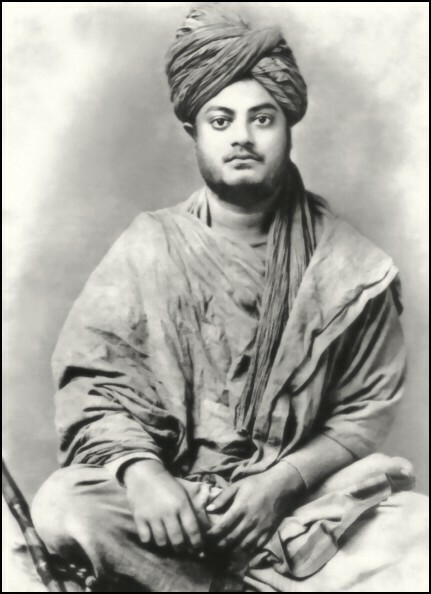 He is considered a key figure in the introduction of Vedanta and Yoga in Europe and America and is also credited with raising interfaith awareness, bringing Hinduism to the status of a world religion during the end of 19th Century. Vivekananda is considered to be a major force in the revival of Hinduism in modern India. He is best known for his inspiring speech beginning with “sisters and brothers of America”, through which he introduced Hinduism at the Parliament of the World’s Religions at Chicago in 1893. 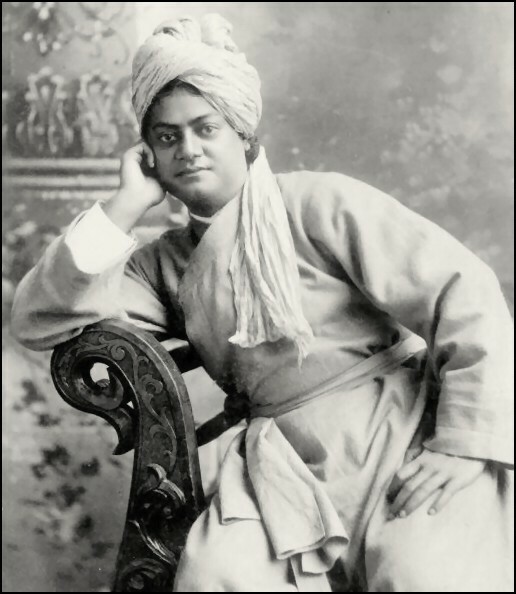 Swami Vivekananda was born in an aristocratic family of Calcutta in 1863. His parents influenced the Swami’s thinking (the father by his rational mind and the mother by her religious temperament). 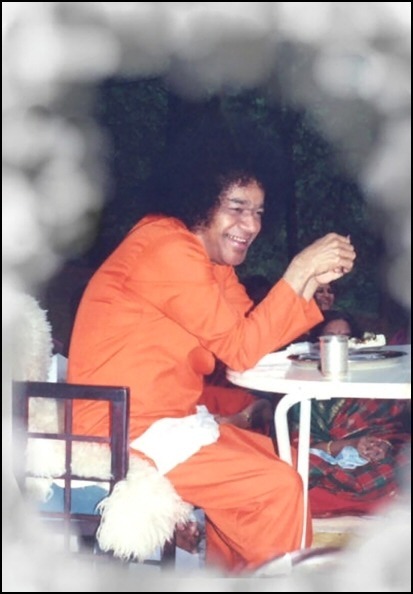 From his childhood, he showed inclination towards spirituality and God realisation. While searching for a man who could directly demonstrate the reality of God, he came to Ramakrishna and became his disciple. As a guru, Ramakrishna taught him Advaita Vedanta and that all religions are true, and service to man was the most effective worship of God. After the death of his Guru, he became a wandering monk touring the Indian subcontinent and getting a first hand account of India’s condition. He later sailed to Chicago and represented India as a delegate in the 1893 Parliament of World religions. An eloquent speaker, Vivekananda was invited to several forums in United States and spoke at universities and clubs. He conducted several public and private lectures, disseminating Vedanta, Yoga and Hinduism in America, England and few other countries in Europe. He also established Vedanta societies in America and England. He later sailed back to India and in 1897 he founded the Ramakrishna Math and Mission, a philanthropic and spiritual organization. The Swami is regarded as one of India’s foremost nation-builders. His teachings influenced the thinking of other national leaders and philosophers, like Mahatma Gandhi, Jawaharlal Nehru, Subhas Chandra Bose, Aurobindo Gosh, Radhakrishnan. On this day (Swami Vivekananda’s birthday), January 12th 2009, we reverently remember the inspiration, passion and brotherhood that Vivekananda evoked and still evokes in India and throughout the world today. The scent of sandalwood and the sound of chanting punctuated by “Om” filled the air last week at a site in western Allen County where devotees plan to erect the first permanent Hindu temple in Fort Wayne. About 300 supporters of the new Omkaar Temple gathered in folding chairs under a red and white-striped tent for two days of Bhoomi Puja, or ground-blessing ceremonies, on Oct. 10 and 11. During the ceremonies, orange and saffron-robed Hindu holy men hoped to draw positive energies to the site at 13900 Yellow River Road, says Dr. Jyothirmai Reddy, of Fort Wayne, an obstetrician/gynecologist and temple benefactor. Reddy says plans include a small temple and a holistic health center. She says she hopes the building will be finished by 2010. Reddy also says she hopes the site will become a gathering place for Hindus and non-Hindus alike. She wants residents to be able to learn meditation techniques and yoga at the site and participate in massage and other therapies, including some based on eastern Ayurvedic medicine. She also plans to offer free health checks. The temple’s purpose is to promote what Reddy calls “self-consciousness,” or mindful spirituality. “In order to have more self-consciousness we need a center where we can congregate and meditate and teach,” she says. Reddy says the temple’s name is derived from the most sacred word for Hindus, “Om,” which is believed to be the sound uttered at the creation of the universe. “Omkaar is the base source of all religions, the most ancient and yet the modern manifestation of spiritual consciousness,” Reddy says. She says she is a follower of Sri Sathya Sai Baba, a contemporary Hindu religious teacher in Puttaparthi, India. He preaches universal love, human equality and service to all, Reddy says. By some, he is believed to be a reincarnated deity and has announced himself as such. A portrait of Sathya Sai Baba was placed by the ceremonial platform, but Reddy says the local effort is not formally affiliated with his international association. “It is from my heart,” as an individual follower, she says. Plans for the site would make it similar to Sai Baba’s home base, which includes a free hospital, an ashram for teaching and a temple. During the ceremonies, attendees approached a foot-high platform covered with rugs and prayer mats to offer nine gems to be placed in a time capsule in the earth. “The theory is that we put good in and it will cause good vibrations, good energy,” Reddy says. Under the direction of Chief Guruji Kumarasway Dixitar of Sri Raja Ganapathi Temple in Swedesboro, N.J., priests chanted separate prayers as water, rice, honey, flowers, seeds and nuts, sweets, incense, clothing and ornaments, among other items, were offered. Posters of Hindu deities lined the tent walls. The ceremonies were performed according to ancient traditions for structures and architecture. The timing was selected according to sacred Vedic calendars, Reddy says. She says a groundbreaking service will be held later at the site, which is now a wooded area surrounded by cornfields. Vish Gurudutt, president of the Fort Wayne Bhajan Society, says there are about 250 Hindu families in the Fort Wayne area. Gurudutt, who attended the recent ceremonies, says families have been meeting about 25 years and have had a formal altar the past five years at Unitarian Universalist Congregation of Fort Wayne, 5310 Old Mill Road. But it is not considered a permanent temple, he says. Dr. Praven Kollipara of Fort Wayne says people traveled great distances to attend the ground-blessing. The temple will become the second permanent Hindu site in Indiana, with the other in Indianapolis, he says. Houston, July 20 (PTI) Noted Yoga guru Baba Ramdev has laid the foundation stone for a USD 20 million Yoga and Ayurveda research centre in Houston. It is the first international centre based on the model of ‘Pathanjali Yog Peeth’ in Haridwar, founded by the spiritual guru 15 years ago. “When the Haridwar centre was established, Rs 20,000 was borrowed to start the project. But in Houston, one-fourth of the needed funds was raised on the very first day,” Ramdev told PTI after the ceremony yesterday. The centre will be set up in a sprawling 94-acre land in Rosenberg in Fort Bend County, about 25 miles from here. Notably, over USD 4 million was raised for the project and USD 2 million was raised in two hours at a fundraiser in Houston on July 18. Ramesh Bhutada and Shekhar Agrawal, who were involved with the project, said the centre would become functional from early next year. 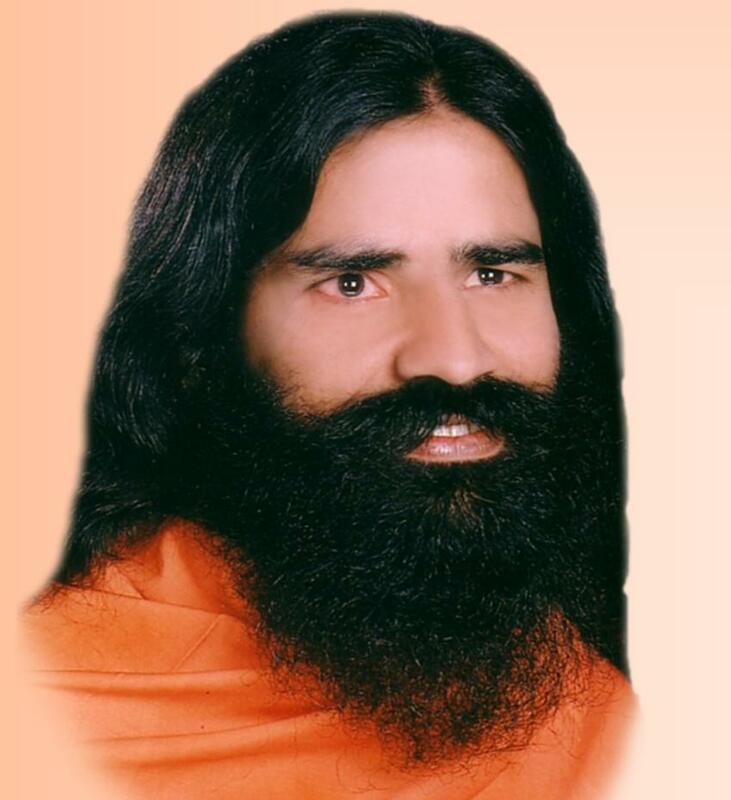 “The vision of Swami Ramdev a year ago is now taking shape fast. The Indian community will stand united and help bring the project to fruition,” Bhutada said. “Our vision is to develop it as a major centre in the western world to impart various aspects of Vedic culture and custom with emphasis on Yoga and Ayurveda,” Agrawal said.